A Unique Approach for Effective Defense, “Hackers can complete an entire data breach in under 15 hours, which includes exfiltrating data,” according to a recent industry report. 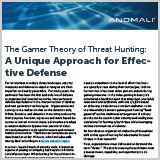 This book explains what threat hunting is for and how to get a program off the ground. You will better understand how threat hunting works and why it’s needed.